Please read these General Sales and Delivery Terms and Conditions carefully before ordering Products online from the Website. 1.1. The term ‘Seller’ throughout the terms and conditions refers to JOYA SPORTS BV. This is the company that takes it upon themselves to have all the products including clothing items and accessories produced and imported, and/or has them produced and then delivered to the buyer. 1.2. The term ‘Buyer' throughout the terms and conditions refers to an individual or company that has an agreement with the seller. More specifically, this is the individual or company who places the order and NOT the consumer or end user of the items purchased. 1.3. The term ‘Delivery’ throughout the terms and conditions refers to the process of getting the complete order into the possession of the buyer by delivering the order at the delivery address provided by the buyer. 2.1. The terms and conditions apply to all agreements including invoices and special offers between the seller and the buyer. 2.2. The terms and conditions also apply to all agreements with the seller even if the execution of the order is by a third party. 2.3. In case of deviation of these terms and conditions, these would only apply if they are expressly approved by both parties in a written agreement. 2.4. If in these general terms and conditions of sales and delivery one or more provisions was declared inapplicable then this does not affect the legal validity of any other general sales and delivery terms and conditions. 2.5. In case the seller grants a deviation to these terms and conditions in favor of the buyer, the buyer derives no rights from this in the future. 3.1. All invoices and offers are subject to change and non-committal unless it is explicitly stipulated that they are irrevocable. 4.1. The purchase agreement only applies when acceptance by the buyer and seller is given in writing and is based on the execution of this purchase agreement. 4.2. In case the seller sends/emails/hands over an order confirmation to the buyer the content of the order confirmation/invoice apply. 5.1. The selling prices stated by the seller are in Euros (€) and are exclusive of sales tax (VAT) and other levies imposed by the government. 5.2. Retail prices shown in catalogs or elsewhere are not binding to the seller. After the conclusion of the agreement, the seller is entitled to increase the agreed-upon prices in case of intermediate increases and/or surcharges on cargoes, customs tariffs, goods and/or land prices, taxes, wages or social security charges, depreciation of the Dutch and/or increase of foreign currency and all other government measures which might impact price. 6.1. The seller remains the owner of all goods delivered to the buyer until the purchase price for all items is fully redeemed. 6.2. Unless the legal ownership has been transferred to the buyer, the buyer is prohibited to pledge the goods or grant any rights to a third party. 6.3. If certain goods have been transferred to the buyer upon payment of an invoice these will continue to serve as an additional security as long any open standing payments remain to be made by the buyer to the seller. 6.4. The buyer is obliged to store the goods delivered under retention of title with due care and as the recognisable property of the seller and to ensure sufficient insurance against theft or damage. take back the goods delivered under retention of title. The buyer grants the seller irrevocably authority to access the space(s) in which the delivered goods are located. 6.6. After repossession of the goods, the buyer will be credited for the market value, up to a maximum of the original purchase price with a deduction of costs incurred by the seller to repossess the goods. 6.7. The buyer is permitted to sell and transfer the goods delivered subject to retention of title to third parties in the normal course of his business. When selling on credit, the buyer is obliged to stipulate a retention of title from his customers on the basis of the provisions of this article. 7.1. Delivery takes place as expressly agreed and as indicated on the order confirmation/invoice. 7.2. International delivery takes place according to the latest version of the Incoterms (International Commercial Terms). These are standard international terms about the rights and obligations of the buyer and seller when transporting or receiving goods internationally. Developed and published by the International Chamber of Commerce (ICC) "Incoterms" is a registered trademark. With regard to delivery costs, the seller uses a country classification related to order turnover. Agreements concerning deviations can be made individually and incidentally at the customer level. 7.2. The goods are at the risk of the buyer after delivery in accordance with article 1.3. Damage can then only be reimbursed if the buyer has made written notification of this within 48 hours of receiving the goods in the appropriate manner, also by submitting photographs of any damage. 8.1. The delivery time is deemed to have been approximately agreed unless a specified time is expressly qualified in writing as urgent. 8.3. The seller shall keep to the delivery time as much as possible but is not liable for the consequences of any exceeding time. Such an excess does not oblige the seller to pay any compensation, nor does it give the buyer the right to declare the contract dissolved. The buyer does, however, have the right to summon the seller in writing after the expiry of the delivery period, to deliver within six weeks. If this period is exceeded, the buyer has the right to declare the agreement as dissolved. 9.1. 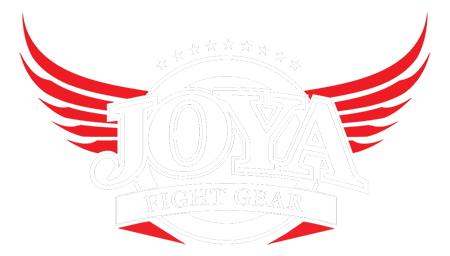 All payments by the buyer will take place within the agreed payment terms and without any deduction or setoff of the bank to be designated by it in favor of Joya Sports BV. 9.2. The Seller is entitled at any time to require partial or full payment in advance of the purchase price or any other security for the payment of the purchase price before commencing or continuing with the execution of the agreement. 9.3. In the event that any payment term is exceeded, the buyer will be in default without any notice of default being required and from that moment on the buyer will owe interest of 1.5% per month or per part thereof on the amount owed, also in case of agreement regarding the postponement of payment. 9.4. If the buyer remains negligent with the fulfillment of any obligation under the agreement, the buyer is also obliged to reimburse the full collection costs, including attorney's fees and costs of internal and external legal advice, the amount of which is fixed at a minimum of 15% of the outstanding amount, without the seller being obliged to substantiate that minimum. 9.5. Payments made by the buyer always serve to repay all interest and costs owed and then the due and payable invoices that have been outstanding the longest, even if the buyer states that the payment relates to a later invoice. 9.6 The seller has the right to demand of the buyer in default or - if applicable - that is no longer insurable according to a credit insurer, without prejudice to its other rights as a result of these conditions and / or the law security for the payments and / or prepayment and / or immediate payment upon first offer of the goods to the buyer (cash on delivery) for all current agreements between the seller and the buyer. In the event of a refusal by the buyer to comply with this guarantee, the seller shall be entitled to dissolve the relevant agreement in whole or in part by means of a written statement, as a result of which the seller shall obtain the right to compensation in accordance with the provisions of article 11.5. 10.1. In the event of non-fulfillment by the buyer of a due and payable claim on the agreed payment date, the seller shall be entitled to suspend the further fulfillment of his obligations arising from all agreements between the seller and the buyer until fulfillment takes place, without prejudice to its other suspension rights arising from the law. In addition, in the event of non-fulfillment by the buyer of a due and payable claim, all claims of the seller against the buyer will become immediately due and payable in full. 10.2 All claims against the buyer become immediately due and payable, even if the payment terms have not yet expired, in case the buyer is in default with any payment obligation, or is declared bankrupt, applies for suspension of payments, is in liquidation or other circumstances arise that could jeopardize the cost recovery of the sellers’ claims. 10.3. In the event of a threat of one of the cases from art. 10.2. the buyer is obliged to report this immediately to the seller. 11.1. The Buyer can no longer invoke the fact that what has been delivered does not comply with the agreement if he has not informed the Seller in writing within 48 hours after delivery of the goods. The right to guarantee also lapses 2 months after the date of sale to the end user and if the tickets have been removed from the items and/or the goods have been used and/or worn, with the exception of hidden defects. The Seller shall at all times have the exclusive right to decide on this in the individual case in all reasonableness. 11.2. Minor deviations in quality, quantity, width, colors, finish, size, finish, etc. that are considered permissible in the trade, cannot constitute grounds for complaints. 11.3. Complaints with regard to quantities of delivered parcels and their condition or other externally visible defects must be noted on the consignment note or the receipt upon acceptance or immediately in writing, through the correct procedure, to the seller, in the absence thereof, any right to complaints will lapse. 11.4. For a successful warranty claim, the original order confirmation/invoice must be submitted at all times. 11.5. Cancellation is not possible in principle. If circumstances give cause to do so, for example to the exclusive assessment of the seller, cancellation can take place in appropriate cases. The cancellation costs are 10% of the total order if the order has not yet been taken into production. If the order is taken into production the cancellation costs increase to 30% of the total order up to 1 month before pending delivery. From 1 month and sooner before planned delivery to the moment of delivery, the cancellation costs increase to 70% of the total order. In the event of cancellation by the buyer, this must be verified by inquiring with the seller of the stage in which the order and/or production are located. 11.6. Exchanging is a favor and not a right. In the event that an exchange is permitted by the seller, this will be done on its terms and in any case at the value of at least 150% of the original amount of the returned items will be purchased by the buyer, whereby the price of the purchase will be based on the then applicable prices for items from stock. 12.1 The seller is never liable for any indirect damage including consequential damage, immaterial damage, business or environmental damage, o the buyer or third parties in case of incorrect use of the goods, at least in the way that is customary. 12.2. In the event of attributable shortcoming in the fulfillment of the agreement, the seller is only liable for replacement compensation, ie reimbursement of the value of the performance that has not been made. Any liability of the seller for any other form of damage is excluded in any form whatsoever, either compensation for indirect damage or consequential loss or damage due to lost profits. 12.3. The seller is furthermore in no case liable for delay, damage, loss due to exceeding delivery periods as a result of changed circumstances, and for damage resulting from the provision of defective cooperation information or materials provided by the buyer. 12.4. A condition for the existence of any right to compensation is always that the buyer has reported the damage to the seller in writing as soon as reasonably possible. 13.1. Neither party is obliged to fulfill any obligation if it is prevented from doing so as a result of a circumstance that is not due to the fault on their part or not under the law, a legal act or generally accepted for its account. 13.2. The following circumstances are deemed not to be for the account of the seller: strikes, traffic, transport or business failures, riots, war states, default on vendors suppliers. 14.1. All intellectual property rights, including copyrights to designs, drawings, packaging, samples, and photographs regardless of the origin with regard to the products delivered by the seller, remain with the seller. The buyer is explicitly not permitted to copy designs and/or have third parties fabricate them elsewhere. If this is determined, the vendor will receive an immediately due and payable penalty of € 50,000 per observation on the buyer. 14.2. The seller declares to the best of their knowledge the products do not infringe the intellectual property rights of third parties that apply in the Netherlands. However, the seller can not indemnify the buyer against possible infringements of intellectual property rights of third parties. 14.3. The buyer is allowed to use the photographic material made available by the seller on his site for support of the seller's brand. For other purposes or other ways of use, subject to permission in writing is granted by the seller. 15.1. Only Dutch law applies to all agreements between the seller and the buyer. All disputes will in the first instance be judged by the competent court of the seller's place of residence unless the seller may give preference to the judge at the location or domicile of the buyer or prescribes mandatory law.